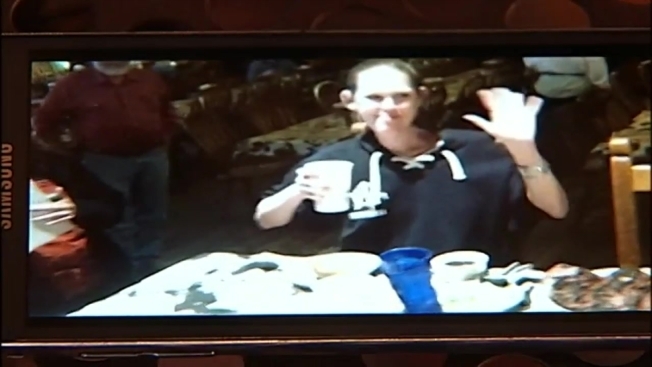 Professional competitive eater Molly Schuyler downed a 72-ounce steak dinner in a record-setting 4 minutes and 48 seconds on Monday, earning the title of the new champ in the Big Texan Steak Challenge in Amarillo. And as if that weren't enough, she devoured a second 72-ounce steak dinner in just under 10 minutes. If you're keeping track, that's more than 9 pounds of food in less than 15 minutes. "She done set the bar high for everybody, so there's not a male that comes in the door. Yeah, that's a challenge to all the males, you know what I'm saying?" said Big Texan Steak Pit Master Tony Love. "If you can't eat two, then you've done nothing, you know what I'm saying?" The 34-year-old mother from Nebraska said she could've eaten a third steak dinner and hopes to do so in a future competition.